By Far, the most common cause of hair loss results from Male Pattern Baldness, which accounts for over 95% of hair loss in males. It is a genetically predetermined condition that is transferred from one generation to another. The onset of Male Pattern Baldness varies greatly from family to family. It typically begins in the late twenties and early thirties and progresses as the patient ages. However, in about 20% if the cases, it begins when the male is in his late teens and moves rapidly through the twenties and thirties. The experience of losing one’s hair is particularly devastating in the young male. This psychological trauma affects their self image, confidence level, and interpersonal female relationships. In the late 1960′s, hair transplantation was developed which involved harvesting small hair grafts from the back the sides of the head and transferring them to the balding areas. Based on the fact that the hair in these areas of the scalp is genetically predetermined to last the life of the patient, the hair removed from these two areas will continue to grow with natural progression. Although initially fairly crude, the methods of hair replacement today have evolved into a very fine art, consisting of several methods. These are the most precise methods for obtaining the Natural Looking, hair transplantation. In fact the results are so natural that your friends will not notice several strips of hair bearing skin obtaining approximately 3000 hair follicles are obtained from the back of the head and these are divided into a number of single hair – bearing grafts or Micrographs and Minigrafts which consists of 3-5 hairs. These grafts in turn are transferred to small recipient sites made in the balding areas. 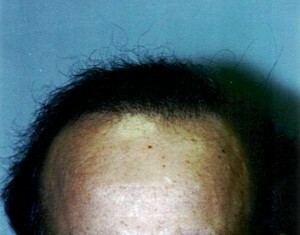 The number of visits required varies for each patient according to their age and degree of balding. We apply anywhere from 300 to 1500 grafts in one session depending on the individual patient requirement. This procedure is performed under local anesthesia with light sedation. Patient is totally pain-free and comfortable during the procedure which lasts approximately 2 – 2.5 hours. Post-op, the dressing is removed and patient may wash hair the very next months and continue to do so at the rate of ½ inch per month. 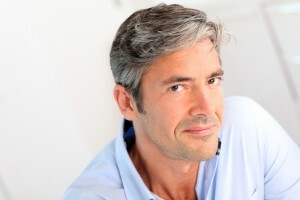 This Procedure us usually done in conjunction with hair transplantation. Depending on the width of the balding area, one to four sessions may be required. It involves removing areas of bald skin to reduce the area of scalp that will be covered eventually with micrografts and minigrafts. TPO Flaps area a method of transferring large segments of hair bearing scalp with blood supply still intact from the sides to the front and the top of the head. This involves three sessions, one week apart, for the completion of one procedure. Further refinements in form of micrografting may be necessary. 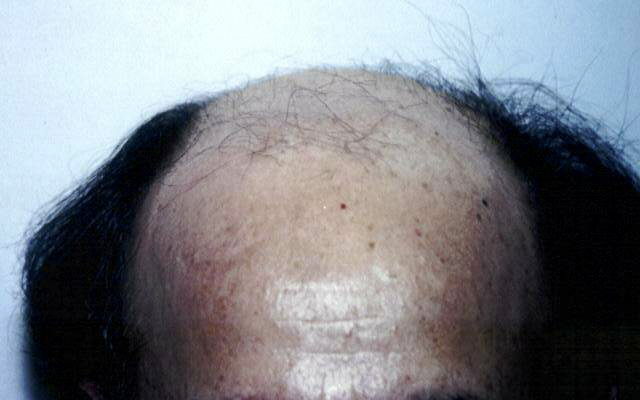 The only ideal and permanent solution to Male Pattern Baldness is hair replacement surgery. These procedures have evolved over the past thirty years and now represents a very sophisticated and comparatively less experience methods of hair transplantation , but believe that most Natural Looking results can be obtained with Micro and Minigrafting. These procedures should be performed by a qualified surgeon who has had extensive training in all aspects of the Facial Plastic Surgery to insure the best possible result. Hopefully, this information has given you a better understanding about Hair Replacement Surgery the way I perform it.